At Richardson & Wrench Alexandria | Waterloo, property management is the heart of our company, and, as with all aspects of our business, our clients receive the highest level of service. Our personable approach is a feature we proudly emphasize. We believe strongly in building relationships to achieve results, between yourself as our client and ‘Landlord’, and with your ‘tenants’ to ensure honest, efficient and reliable administration. Put simply, our aim is to alleviate any potential stress or unnecessary follow through on your part, and make the process of property management a pleasurable, successful experience. 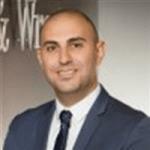 Anthony was very supportive during the process of preparing the property to lease out, clearly explaining the current rental market conditions and when to market the property in order to achieve the best tenant and rental return. Tenant selection was trouble free and communication with Anthony on any topic is always clear and concise. A great Property Manager and highly recommended! My husband and I are very impressed with our Rental Manager Anthony Atra. He ensures good tenants and will promptly informs us any matters concerning our property. His property maintenance inspection is thorough and will promptly provide us a written detailed report. Anthony will assist us in trouble shooting and fixing any problems concerning our property. He certainly optimizes our rental returns.